Amazon 37.84 Buy from Amazon, and save 11%! The RCA ANT751 supports up to 1080i HDTV broadcasts for high-quality picture and sound, in a 40 mile range. It receives both UHF and VHF channels, and its multi-element design enhances reception and delivers the maximum amount of content available in your area. 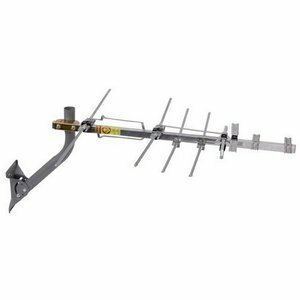 The mounting kit allows you to place the antenna on a wall, in the attic, or on a rooftop. Accessories include a mast w/locking clamp, mounting hardware and 75-ohm matching transformer. Installation instructions and additional technical data can be found in the RCA ANT751 user manual.